In keeping with our goal of providing products for Mind, Body and Spirit, this month, Shamans Market introduces three exciting new lines of unique handcrafted healthy teas and elixirs. 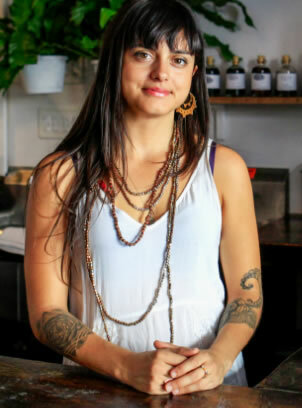 Anima Mundi is the brain child of herbalist Adriana Ayales, Costa Rica native turned herbal healer. Her Anima Mundi products are based on recipes passed down for generations in her family, with ingredients sourced from rainforests in South America. As she tells it, “I wasn’t initially planning to make this a career because in Costa Rica, it’s customary to use natural ingredients for medicinal purposes. I drank tonics and teas and elixirs all day long! For us, drinking tea is like brushing your teeth.” From farm to pharmacy, her elixirs are 100% organic, wildcrafted, non-GMO, and vegan botanical remedies. 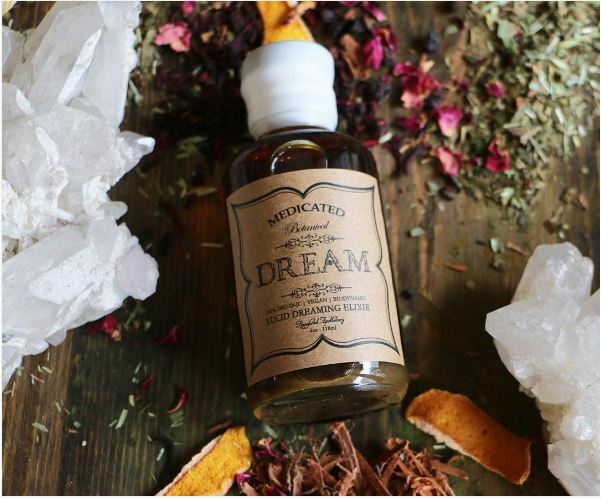 Born out of the desire to have a natural form of healthcare, Ayales’s intention is to craft high potency formulas, using ancient healing methods applied and studied by rainforest natives. They bring a wide range of formulas for wellness and longevity. “We have over 200 herbs imported from Costa Rica, India, China, and the Midwest and everything is 100 percent organic.” As part of her own health regimine, Ayales does yoga and drinks lots of her teas. “I become a zombie if I don’t get a yoga session in. It’s essential. The more you can expand your core, the better you can absorb plant nutrients.” The wisdom imbued in their remedies has been revered by medicine people across the world as they aim to capture the essence of different traditions: From Rainforest Tribal botany to Chinese Medicine to Ayurveda. Shamans Market selections all come in 2 oz. earth-friendly glass bottles, except for the tea, which comes in bags. Viridem Elixir Master Detoxifier –the most potent greens found in the Rainforest. This formula contains master herbs known to contain powerful cleansing properties and anti-cancerous chemistry, while providing deep nourishment and intensely alkalizing effects. Our formula contains high anti-oxidant and anti-inflammatory activity, with a profound ability to draw out toxicity from the five main organ systems. …[more]. 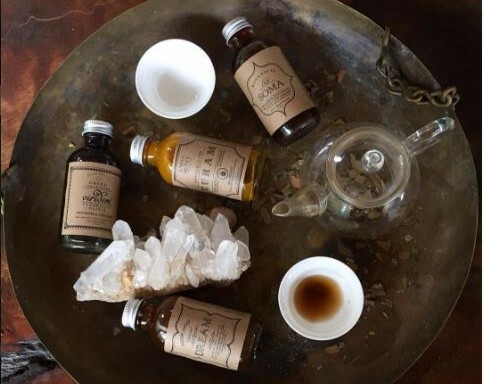 The post Healing Elixirs and Handcrafted Teas appeared first on Shamans Market.